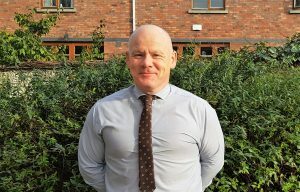 22nd Feb 2019 – Following an exciting year of growth including securing a number of strategic clients and expanding the team of engineers, supportIT are pleased to announce that Eric Reid has recently joined in the capacity of Service Delivery Manager. Eric brings 11 years of managed service expertise to supportIT and will be responsible for ensuring a high-quality service is delivered to clients and that support processes are in place to meet business needs. ‘supportIT already have a great reputation for a high level of customer service, the role is about maintaining the integrity of that service while still growing the business. I am delighted to be part of the team.’ Eric Reid, supportIT Service Delivery Manager.